It’s no secret that I love old school high school football. It’s one of the reasons I wrote my book High School Football in Texas: Amazing Football Stories from the Greatest Players of Texas in which I interviewed more than 30 NFL players about their high school football memories, some of which date back to the 50’s with players like Raymond Berry, Don Maynard and Gene Stalling. Today, I’m introducing you to a new series of stories that I will present throughout the 2018 season that are based on a scrapbook I was recently given. 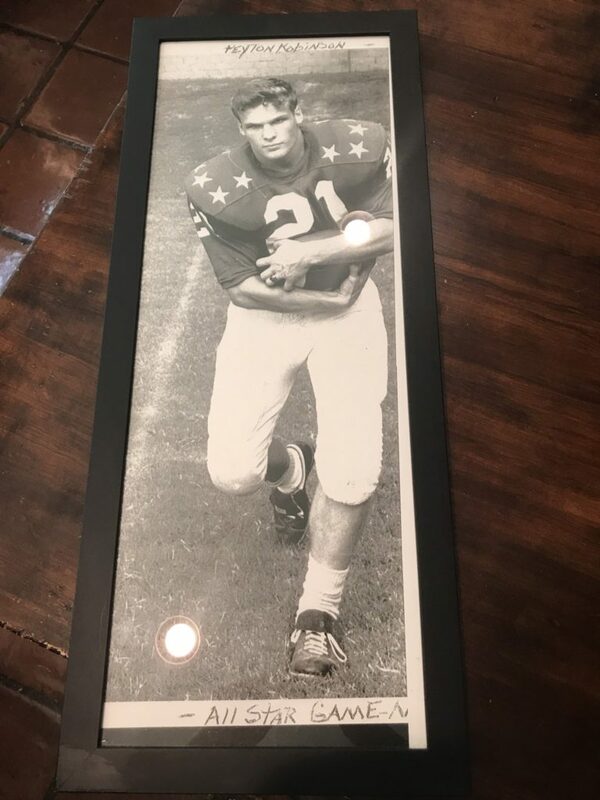 The series will center on the late Peyton Robinson, who is known as one of the greatest high school football running backs in Georgia high school football history during his playing days at The Westminster Schools in Atlanta from 1958 through the 1960 season. I’m calling the multi-part series The Scrapbook. How good was Robinson, who had 41 college scholarship offers? Using the scrapbook and conducting interviews with Peyton’s high school teammates, I will turn back the clock to to tell the story of a young man and his teammates who built the foundation for the school’s football program that has won three overall Georgia high school football state championships with the last coming in 2015. 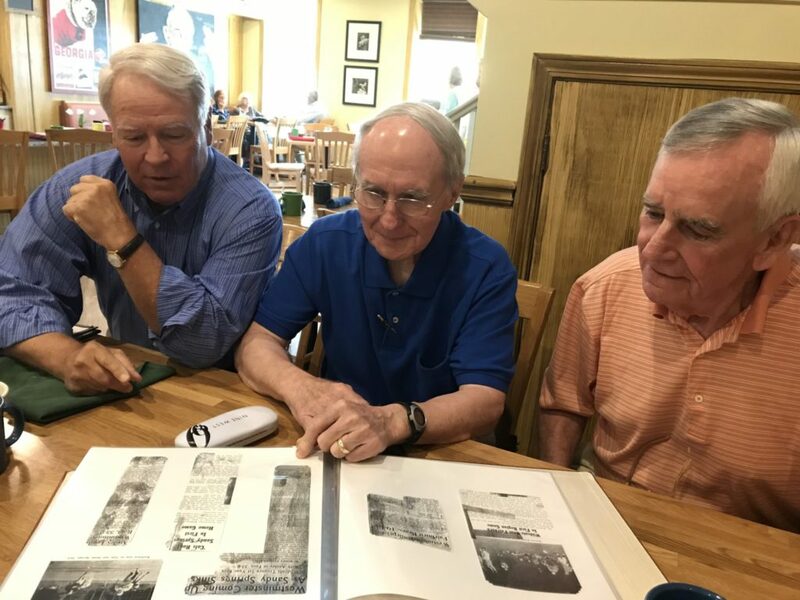 Robinson’s teammates Randy Bryan (left) Dave Drake (center), Blake Young (right) looking through The Scrapbook. The first installment in the series will be released August 31st.